Big Car appeased (at least momentarily) a longstanding local rivalry and engaged the community in public art with a collaborative mural in November 2016. This project was commissioned by Kroger Co. with the help of the Arts Council of Indianapolis to create art to be displayed in Kroger locations throughout Indy. 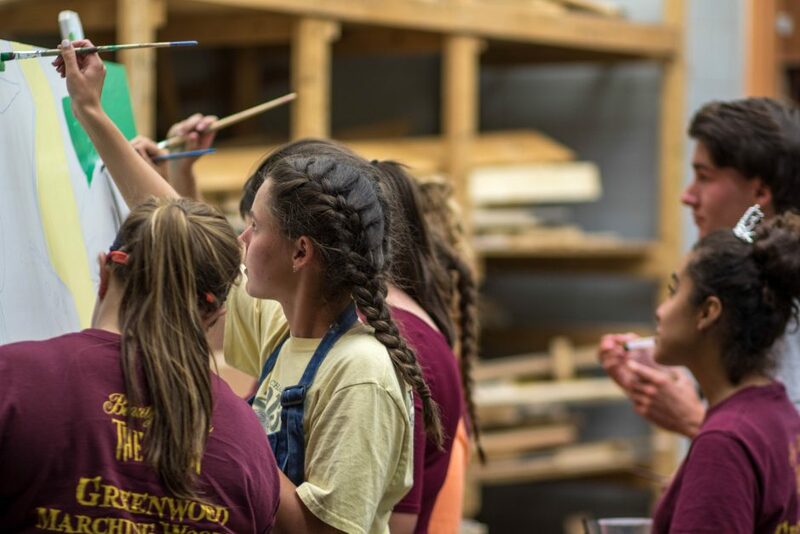 To ensure the work accurately captured community values, Big Car recruited young people in the community – members of the Greenwood Community High School and Center Grove High School marching bands – to participate in this project. 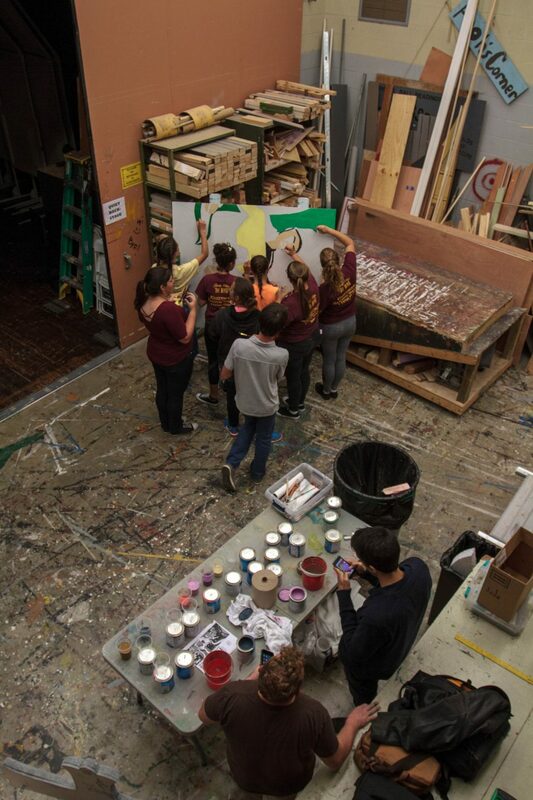 Though many of the student volunteers are more familiar with music than visual art, the teamwork required to complete the mural was not unlike the cooperation they practice on the field. 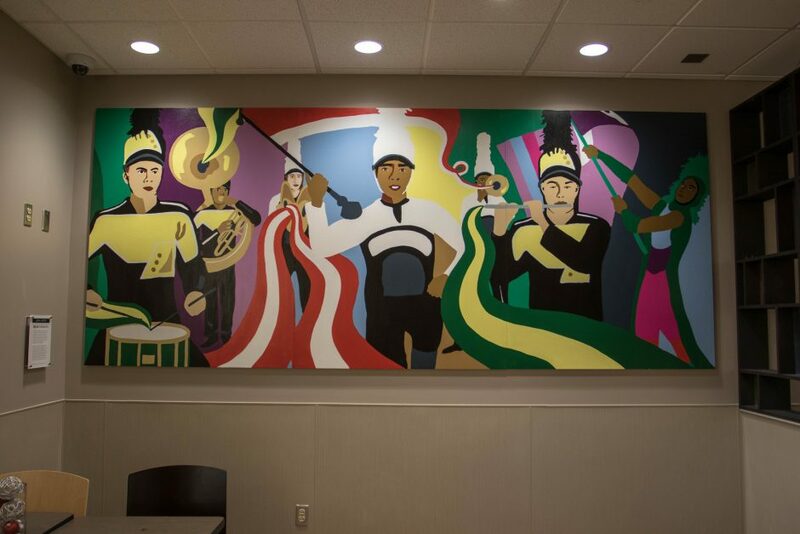 The final piece depicted instrumentalists, a drum major, and a color guard performer in the uniforms of both schools to demonstrate the camaraderie and respect community members (as well as the band programs) have for one another. The colorful mural also represents the tradition and pride of the neighborhood as a whole. See pictures of the mural in progress here.